Provides icons for DOS applications running under Windows. DOSICON is a utility to add variety to the DOS icon on the WINDOWS 3.0 desktop. This program is for Windows users who have downloaded many .ICO icon files for their DOS programs, but are frustrated by the bland DOS icon that is displayed when the DOS application is minimized. If you hate the DOS icon on your desktop, then this program is for you! Please support this shareware program by sending in a small registration fee of $10. -Displays minimized DOS applications with user defined icons. -Can be hidden or displayed on desktop as icon. -Works in both Enhanced and Standard modes. -No irritating, repeated requests for registration. This keeps the size of the program small. -Support for icon resources in .DLL, .ICO and .EXE files. -Works with high resolution monitors. -Include fancy dialog boxes for owners of Borland's Resource Workshop. Please include your mailing address or your bix name or CIS mailing address so that you can receive your registration number. Registered users of versions earlier than 1.01 need not fear - I will mail you your registration number soon. a.the Windows directory, ie. the directory that your Windows program is in. b.a directory in your path. c.the same directory as the DOSICON.EXE file. Run DOSICON.EXE and click on the Edit DOSICON option in the system menu. 2.The Edit dialog box is the major improvement over previous versions - it presents a more user-friendly of setting up the icons you wish to associate with your DOS applications. There are two list boxes in the dialog box. 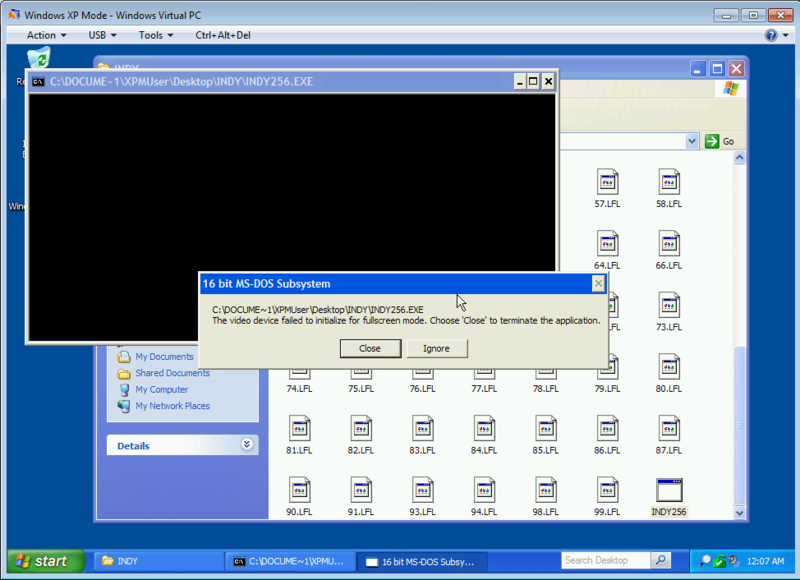 The left list box contains the window caption titles (the text displayed below the DOS app's icon it is minimized) supported by DOSICON. The right list box contains icon files and directories. There is also an edit box above the left list box for adding new caption titles to the initialization file. 3.The Add button will be enabled when there is text within the Window Caption edit box and the file that you had selected from the icon list window contains valid icons. You can view the icons in the window next to the NEXT and PREV buttons. Press the Add button after you have typed in your DOS application's caption title and you have selected the icon that you want displayed. 4.The Delete button will be enabled when one of the caption titles in the initialization file is listed in the edit box. Press this button if you want to inform DOSICON to discontinue support for that particular DOS application with that caption title. The previously selected icon will also be displayed above the Window Caption text box when a caption title supported by DOSICON is selected. 5.The Next and Prev buttons will be enabled when there is more than one icon in the EXE/DLL file. These buttons will allow the user to view all the icons in the EXE/DLL file. 6.You can also indicate how you want DOSICON to start up - hidden or shown on the desktop as an icon. If you are initially playing around with it, I advise you to run it displayed so that you can easily add new DOS applications that you want DOSICON to support. If you want to display DOSICON after it is hidden, just run the program again. 1.01-Fixed problem of displaying icon in 256 color mode. Previously, only half of the icon was displayed. -Improved memory management - I left many bitmaps and icon objects dangling without destroying them when they are no longer needed - I'm surprised my system never crashed under such gross memory mismanagement! -Can display icons in EXE files. 1.02-Icon will be displayed immediately when the RELOAD option in the system menu is selected. In the previous version, if a DOS app on the desktop has the old DOS icon and you use Edit DOSICON.INI to select an icon for that DOS app, the icon will not be displayed when you select the Reload DOSICON.INI item in the system menu. The icon would only be painted if you force that application to repaint itself by moving something over it and then uncovering it. This has been fixed in this version. -Can display icons in DLL files. -Improved editing of DOSICON.INI file. 1.03-Fixed bug of displaying 2-color 32x16 icons. -Enhanced Edit Dialog Box by including Prev button. 1.04-Fixed problem when multiple instances of same DOS app with different caption title could prevent DOSICON from calling up the icon for one of the DOS application. -Improved performance of DOS application in a window. 1.05-Fixed bug of DOSICON crashing under debugging kernel of Windows. Thanks to Brad Smith for testing DOSICON under the debugging kernel. -Fixed bug in Edit DOSICON dialog window which prevented icon from being redrawn when an object was moved to cover the icon and then removed. -Enhanced Edit DOSICON dialog window by adding a window to display the previously selected icon for the caption selected. 1.06-Added support for fancy dialog boxes for owners of Borland's Resource Workshop. -Allow user to place DOSICON.INI file in same directory as the DOSICON.EXE file; or in one of the path directories. -More efficient management of icon resources when DOS applications are running. Please mail bug reports/requests to kokhong on BIX or to 73530,3007 on CIS.